The October 2017 issue of JLB contains a cluster of articles related to the joint Neutrophil 2016-SLB meeting in Verona. The Journal of Leukocyte Biology (JLB) will publish a cluster of articles related to topics of the Neutrophil 2018 meeting, both review papers (“overviews”) and original investigations. Selected contributions will be invited soon after the completion of the conference, and all submitted manuscripts will be peer-reviewed according to the high standards of the JLB. 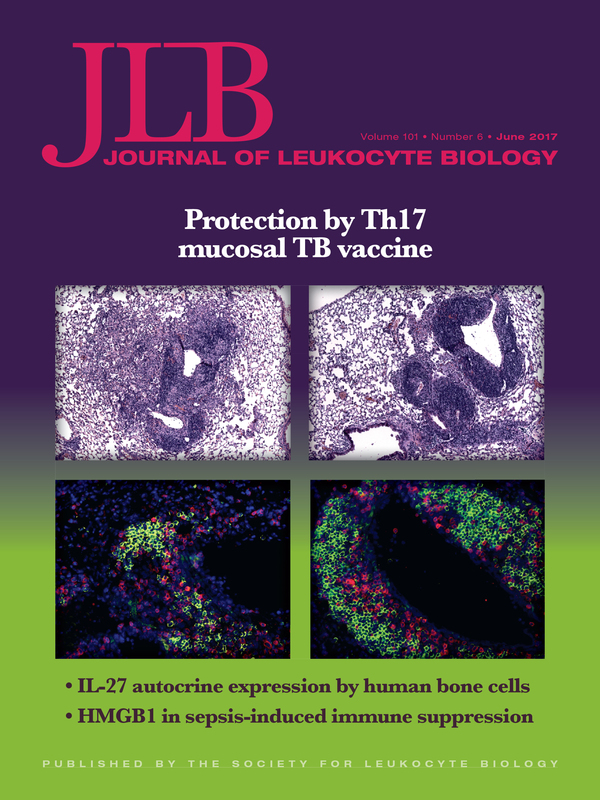 The JLB publishes original experimental and clinical research that provides new insights into the function of leukocytes and/or stromal cells at the molecular, structural, cellular and systemic level. The Journal scope includes all leukocytes (granulocytes, monocytes/macrophages, dendritic cells, T, B and innate lymphoid or NK/NKT cells) and/or leukocyte products, together with associated stromal (endothelial, epithelial) cells studied in vitro and in the context of innate and adaptive immunity, development, homeostasis, host-pathogen interactions, immunotherapy and immunopathogenesis (in both vertebrate models and/or human studies). Pathologies of interest include immunodeficiency, autoimmunity, allergy, cancer, trauma, infections, inflammatory and iatrogenic diseases. JLB also publishes basic, translational and clinical reviews as well as commentaries on current journal content. A collection of past JLB focus issues on Neutrophil meetings can be found here.